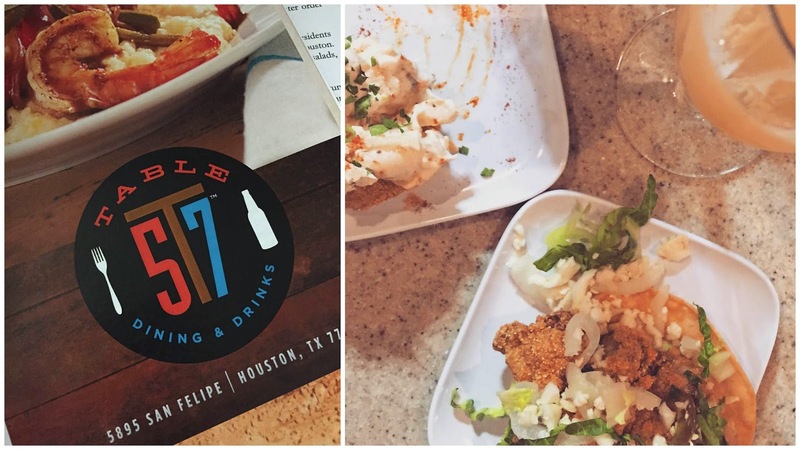 I finally tried table 57 in the new HEB and I must say I am pretty impressed. First off, I only buy groceries at HEB so when they asked me to come visit I didn't hesitate. They just opened up a new HEB down the street from my office so I am excited about how soon I can go to happy hour and get random groceries after work! I went on Friday and with it being lent I had to try non meat options. I am already obsessed with the lobster salad which is a lobster on a bed of FRIED GREEN TOMATO (this is two of my favorite things you guise... two of my favorite things at one time. ) and a fried oyster toastada. During happy hour, tostadas are only $2! They even serve brunch and the menu even goes into a full range of BBQ meats that you can buy by the lb including amazing sides. Everything looked great so I see myself going by multiple times to eventually try the whole menu.